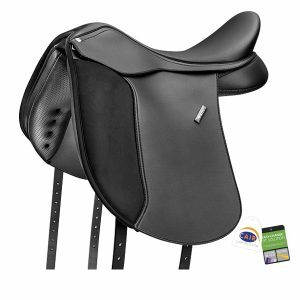 Ideal for pleasure riding or participating in multiple disciplines, featuring a slightly deeper, Equi-Leather seat, it is exceptionally hard wearing and durable, providing support to enable a strong balanced position for you in the seat. Features an ergonomic stirrup bar for closer contact and the adjustable Flexibloc system for the perfect customized fit for you. World-leading performance systems, the CAIR Cushion System and EASY-CHANGE Fit Solution, offer the ultimate in ease of fitting and performance for your horse. These revolutionary systems work together to provide a custom fit and fluid cushioning to hug your horse’s individual conformation for even weight distribution over the entire length of the panel. Wintec Saddles products are manufactured using high-quality, durable and weatherproof materials for longevity and ease of use and care. It is however vitally important to understand that every product has a maximum lifetime which will be affected by a number of factors including the environment, frequency of use and care. It is every rider’s responsibility to regularly check their tack, particularly any safety related items such as stirrup straps, Webbers, girths and girth points for signs of excessive wear and tear. Any tack involved in an accident or showing signs of excessive wear and tear such as fraying, torn holes or cracking should be replaced immediately for the safety of both you and your horse. 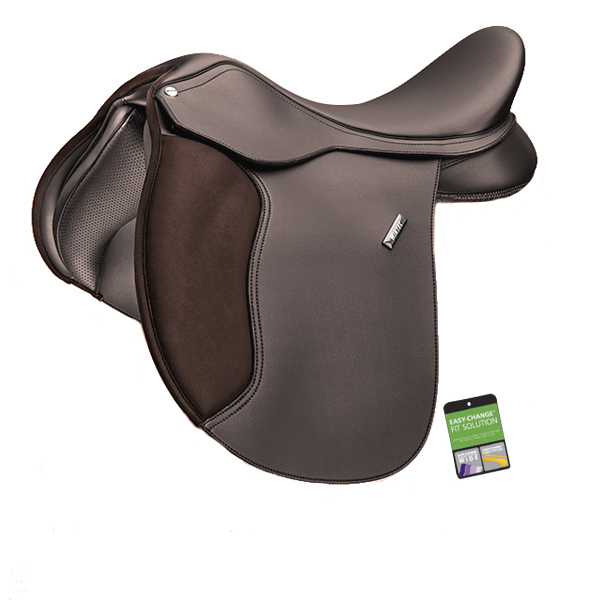 Finally, a saddle designed to fit the cob or wider horse that’s comfortable for the rider too! For the first time in a wide saddle, Wintec has achieved a comfortably waisted seat. Designed to counteract the wideness of the saddle, the seat enables you to relax into a comfortable and correct riding position. Features include EASY-CHANGE Gullet System WIDE, ergonomic stirrup bar to reduce the bulk under your leg and Flexibloc systems to suit your preferred level of thigh support. 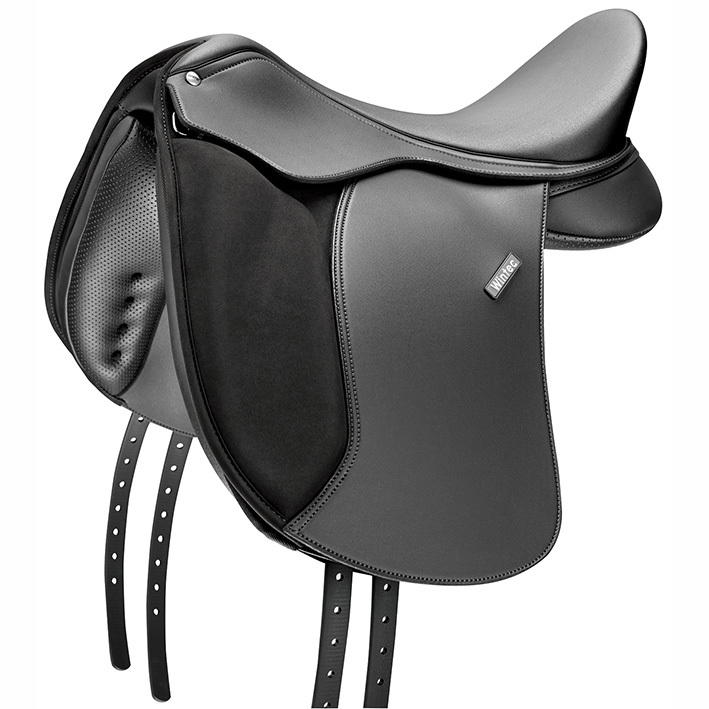 A modern, stylish dressage saddle that features durable Equi-Leather, the Winter 500 Dressage offers an extremely comfortable seat and is also a comfortable fit for horses of various shapes featuring the EASY-CHANGE Gullet System. The Equi-Suede knee inserts shape the leg for stability and training aid. 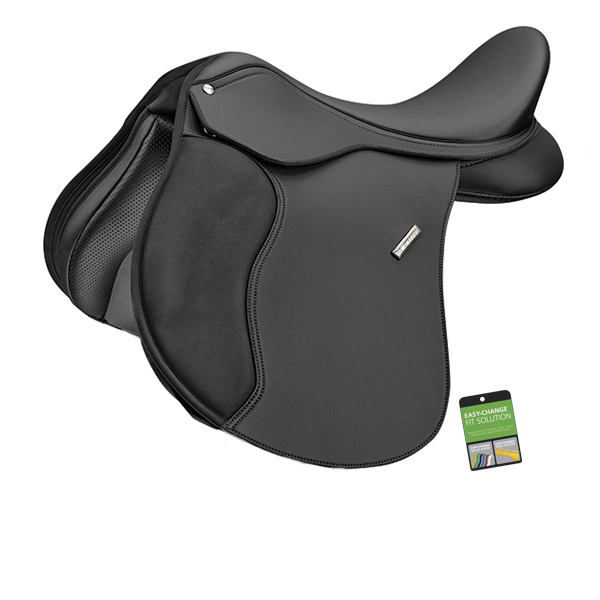 A wide dressage saddle, specially designed to fit the cob or wider horse that delivers an unprecedented level of comfort in a wide saddle for the rider. Offers a close contact, central and balanced position for the rider, ideal for schooling your horse for competition. Performance materials ensure superior fit, comfort and stability with Adjustable Y-Girthing and Flexibloc systems allowing you to move the blocs to your preferred level of knee and thigh support. Fully changable width with the gullet system.